It is time for Ireland to step up and stop the exploration for oil and gas in our offshore waters, the Green Party leader said this morning. 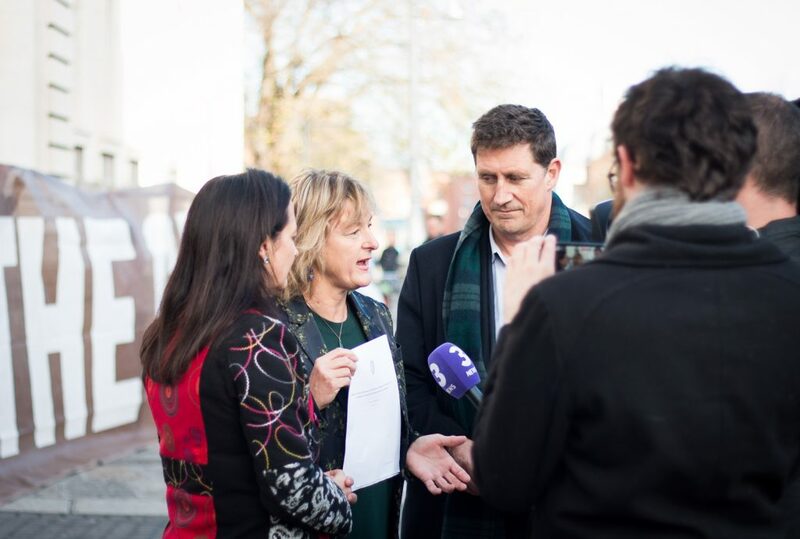 Speaking at the launch of the party’s Prohibition of Fossil Fuels Bill 2017, Eamon Ryan, TD said that the Government much step up and support the Bill if “they are serious about climate change”. The launch of the Bill comes just a day after Ireland was singled out as Europe’s worst-performing country for taking action to tackle climate change. The Bill calls on the Irish Government to follow the lead of France and ban all new oil and gas exploration in Irish waters. If passed, the Bill will ban the Minister for Climate Action, Denis Naughten, TD from issuing, renewing, or extending any license for the exploration and extraction of oil and gas both onshore or offshore. A 2015 study in the journal Nature concluded that a third of global oil reserves, half of gas reserves and over 80 per cent of current coal reserves must remain unused from 2010 to 2050 to meet the Paris Agreement target of a maximum 2 °C rise in global temperatures. “This Dáil has already banned fracking for onshore gas, it is now time to take the next step and stop all exploration for oil and gas in our offshore waters,” Mr Ryan said. Are oil and gas here to stay? In July, President Michael D Higgins signed into law a Bill to ban onshore fracking in Ireland due to the potential health and environmental impacts of the practice. However, just days later, one of Ireland’s most prominent oil and gas exploration companies, Providence Resources, was granted a license to drill in the Porcupine Basin, 220km off the southwest coast, in search of an estimated five billion barrels of oil. However, drilling at two wells turned up poor results, with the company’s stocks dropping by 16 per cent in Dublin and almost 30 per cent in London after it announced the poor results. 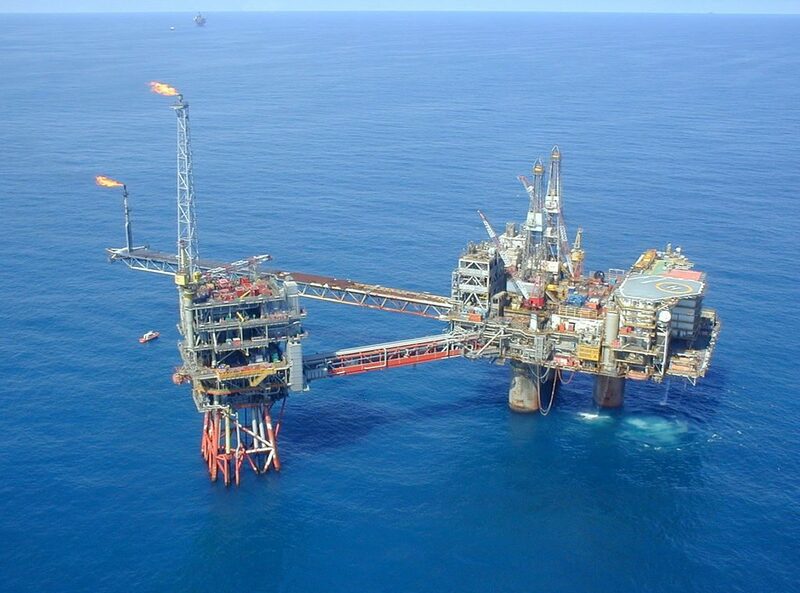 Shell Oil also recently left the Corrib gas field with losses of 2 billion. The Greens argue that any further investment in new fossil fuel infrastructure will end up as “stranded assets” as oil prices are unlikely to rise above $60 a barrel and due to pressure to divest from the fossil fuel industry. Despite this stark warning, the Minister for Natural Resources Sean Kyne, TD told the Atlantic Ireland Conference earlier this month that oil and gas will remain “significant elements” of Ireland’s energy supply until 2035. He also told the audience that Ireland must walk a fine line to balance the “competing aspects of competitiveness, security of supply and sustainability” of our energy needs. Drilling off the coast of Kinsale is now expected to run from July 2019 to November 2025, with further drilling set to being in August 2018 just six kilometres off the Dalkey coast. Released yesterday, the 2018 Climate Change Performance Index puts Ireland in 49th place out of a total of 56 countries identified in the study. The Index also points out that Ireland’s performance in terms of reducing greenhouse gas emissions is “very poor”. 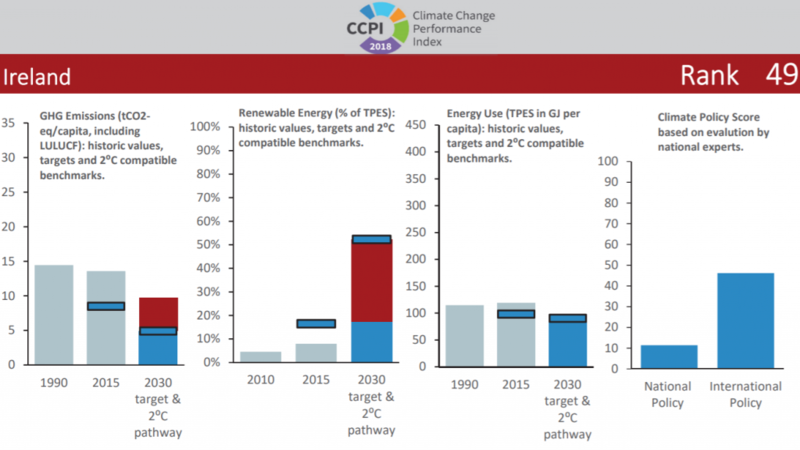 “[Ireland] is nowhere close to being on track concerning its well-below-2°C compatible pathway with both its current level as well as its 2030 target,” the report states. While the report points to a “very positive trend in the development of renewable energy” the current share of renewables in the overall energy mix is “insufficient”. Ireland is set to fall short of its 2020 EU energy targets, largely owing to a dependence on imported oil and gas for heating our aging housing stock. According to the Sustainable Energy Authority of Ireland, 85 per cent of Irish energy is imported, with 91 per cent of this coming from fossil fuels. Green Party Deputy Leader Catherine Martin TD said that the Bill now offers our Government “an opportunity to make amends”. 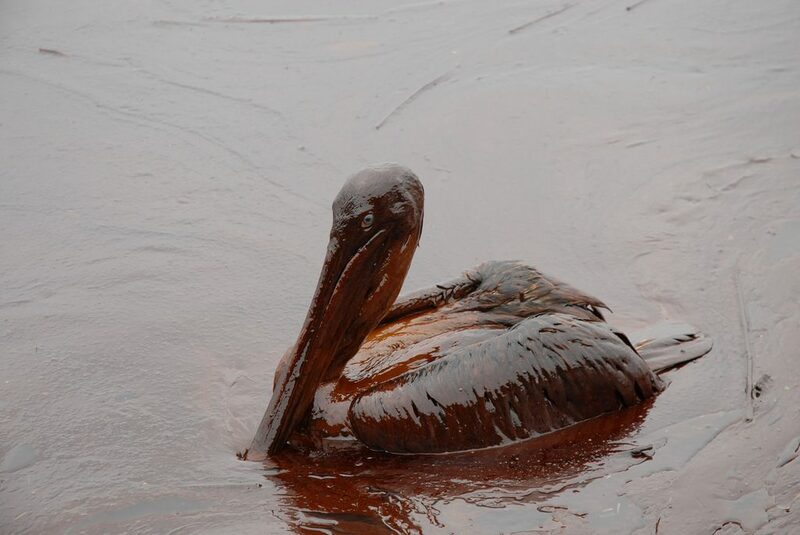 Oiled Pelicans Photo: Governor Jindal’s office. The Green Party’s Spokesperson for the Marine, Senator Grace O’Sullivan added that we are learning more and more on a daily basis about the “damage that offshore oil and gas exploration is doing to our marine environment”. Petroleum companies release seismic blasts of compressed air into the seabed in order to try and find oil and gas deposits buried beneath the ocean floor. It is estimated that one blast can deafen marine creatures who rely on echolocation to communicate and hunt, and can kill up to 64 per cent of zooplankton – the basis of the marine ecosystem – for up to 0.7 miles. The Waterford Senator also highlighted the potential for disruption and destruction of vital marine habitats in Ireland, as well as areas “crucial to our fisheries, tourism and leisure sectors”. “We need to protect our oceans and keep these polluting fossil fuels in the ground,” she added.